France is a worldwide manufacturing leader in the aerospace, automotive, construction and medical industries. Over the past 2 years, the number of French companies adopting industrial 3D printing as part of their production cycle has increased substantially. 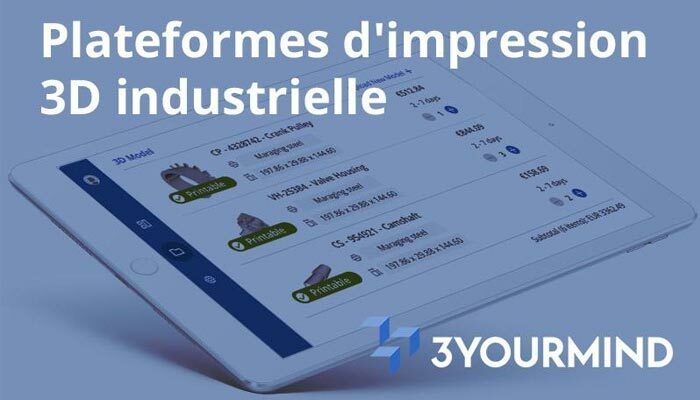 3YOURMIND is opening an office in Paris to intensify the support of their French customers and provide their software to support France’s move into Industry 4.0. 3YOURMIND is one of the leading providers of software solutions for additive manufacturing. In 2017, the Berlin-based company raised €10M to take industrial 3D printing to the next level. 3YOURMIND’s customers include Siemens, Volkswagen, GKN and other global technology leaders from the automotive, aerospace and engineering sectors, as well as medium-sized companies and 3D printing services. In 2016, 3YOURMIND was awarded the "German Innovation Prize". France has been a long-standing part of the 3D production landscape led by AM companies like Prodways, Sculpteo, Cresilas, Poly-Shape, AddUp, Poietis, BeAM, Prismadd. But in the past year has seen increased visibility of French companies which are implementing industrial 3D printing in their production cycles. This has been supported by several government initiatives to modernize and digitize French production, but it is primarily driven by the business advantage of Additive Manufacturing. The French manufacturing sector already represents 5.1% of the world’s AM market. The potential of AM is clear to the French production sector. However, the speed of adoption and the new workflow paradigms required for additive manufacturing have left many companies struggling to implement the technology in a way that realizes the cost and production advantages. There is a clear need for systems to structure the design-to-production processes and guide the shift of the companies into the new technology. 3YOURMIND is already integrating French suppliers into their global network including x3D Group, a Lyon-based company specialized in 3D Printing and Additive Manufacturing services. “To support our growing AM capacity, the range of materials and our expertise, 3YOURMIND is the perfect portal for industrial buyers who need to order our industrial 3D print services easily and safely. The online platform incorporate modern technologies that match the needs of industrial production. 3YOURMIND came a long way”, says Kamal Bounouara, CEO. 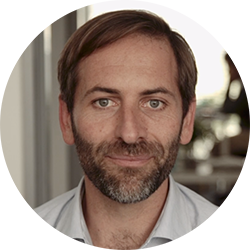 3YOURMIND provides the workflows between 3D design and production and provides the analysis framework for intelligent decision-making for top tier companies in Germany and the US. Their platforms connect departments throughout large organizations and distributed production facilities on a single digital platform. The automation tools and customizable workflows dramatically decrease the cost and complexity of implementing 3D production to make it accessible and efficient for mid-sized companies as well as big organizations. 3YOURMIND provides platforms to advance Industrial 3D production. Their design-to-production solutions cover each step in the production chain from Evaluation (AM Part Identifier) to Collaboration (Enterprise) to Production (eCommerce). The AM Services division provides process consulting, model redesign and custom production of 3D models by in-house AM experts. The company is headquartered in Berlin for programming, project management, marketing and sales. Their AM Services division is headquartered in Wroclaw, Poland. They have additional Sales and Project Management offices in Munich, Paris, New York and San Francisco. Their software is used by top European and US companies. Their platforms have been recognized with a series of prestigious awards including the 2016 German Innovation Award. 3YOURMIND’s vision is to become the software standard for industrial 3D printing and move the world to Smart Manufacturing.